We study the learning power of iterated belief revision methods. Successful learning is understood as convergence to correct, i.e., true, beliefs. We focus on the issue of universality: whether or not a particular belief revision method is able to learn everything that in principle is learnable. We provide a general framework for interpreting belief revision policies as learning methods. We focus on three popular cases: conditioning, lexicographic revision, and minimal revision. Our main result is that conditioning and lexicographic revision can drive a universal learning mechanism, provided that the observations include only and all true data, and provided that a non-standard, i.e., non-well-founded prior plausibility relation is allowed. We show that a standard, i.e., well-founded belief revision setting is in general too narrow to guarantee universality of any learning method based on belief revision. We also show that minimal revision is not universal. Finally, we consider situations in which observational errors (false observations) may occur. Given a fairness condition, which says that only finitely many errors occur, and that every error is eventually corrected, we show that lexicographic revision is still universal in this setting, while the other two methods are not. 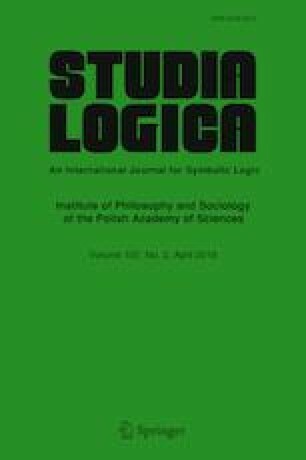 Belief revision Dynamic Epistemic Logic Formal learning theory Truth-tracking. The research of Nina Gierasimczuk is supported by an Innovational Research Incentives Scheme Veni Grant 275-20-043, Netherlands Organisation for Scientic Research (NWO), and by Polish National Science Centre (NCN) OPUS 10 Grant, Reg No. : 2015/19/B/HS1/03292. The contribution of Sonja Smets is funded in part by an Innovational Research Incentives Scheme Vidi grant from the Netherlands Organisation for Scientic Research (NWO) and by the European Research Council under the European Community’s Seventh Framework Programme (FP7/2007-2013)/ERC Grant Agreement No. 283963.